Over the past few weeks, staff received a sign of life from the operator, but the issues are far from over. In fact, a few days ago the most recent Demonoid.pw domain name expired, which means that it’s at risk of being lost completely. 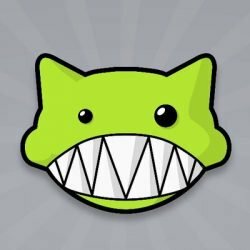 TorrentFreak spoke to Demonoid staffer ‘Phase’ who believes that Deimos may resurrect the site in the future, but whether he’s aware of the domain issue is unknown. If the domain isn’t renewed soon, the registrar will delete it from the records completely. This is something the staff hope to prevent, but their hands are tied. “I contacted TLD registrar solutions on behalf of the Demonoid and staff members asking if it’s possible to pay up the domain expenses so the domain doesn’t get lost,” Phase tells us. However, that hasn’t gotten them anywhere yet. All .pw email addresses are inactive as well now. Phase says he still has the old phase@demonoid.com handle and he hopes that by some miracle the registrar will contact him there to help out. That seems to be a long shot, but there are few other options. Demonoid’s staff don’t have access to the site’s Twitter account either, so it’s hard to inform users about the current situation. According to Phase, many are being tricked by copycat sites. Demonoid.to is particularly problematic, as it encourages visitors to download a scammy client. As a temporary solution, the staff have decided to create new fora at Demonoid.info where Demonoid users can get the latest updates or just chat randomly. “We staff established a Demonoid Fora for the fans so they can have at least some sense of home while Demonoid is gone. This forum is not file sharing related in any way, it’s just a way to help the community stay together,” Phase says. While several long-time Demonoid users have found their way to the new fora, it remains unsure if or when the real Demonoid will return.